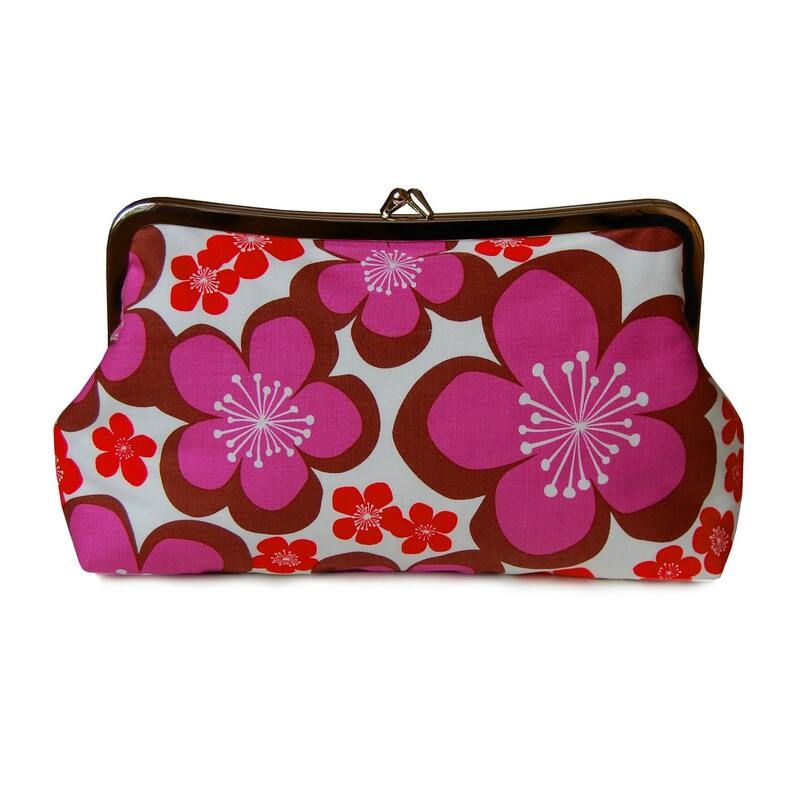 This purple floral clutch will add life to any outfit. The bold colors of the floral clutch purse are sure to turn heads. What a lovely summer purse! 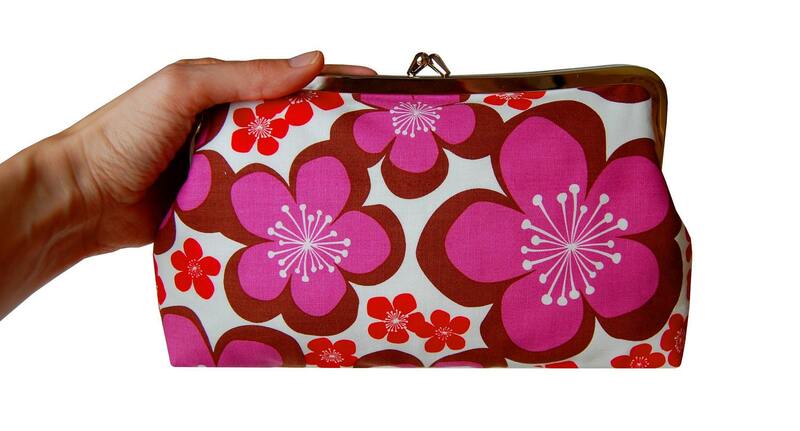 The purple clutch purse is bright and happy - a perfect combination! 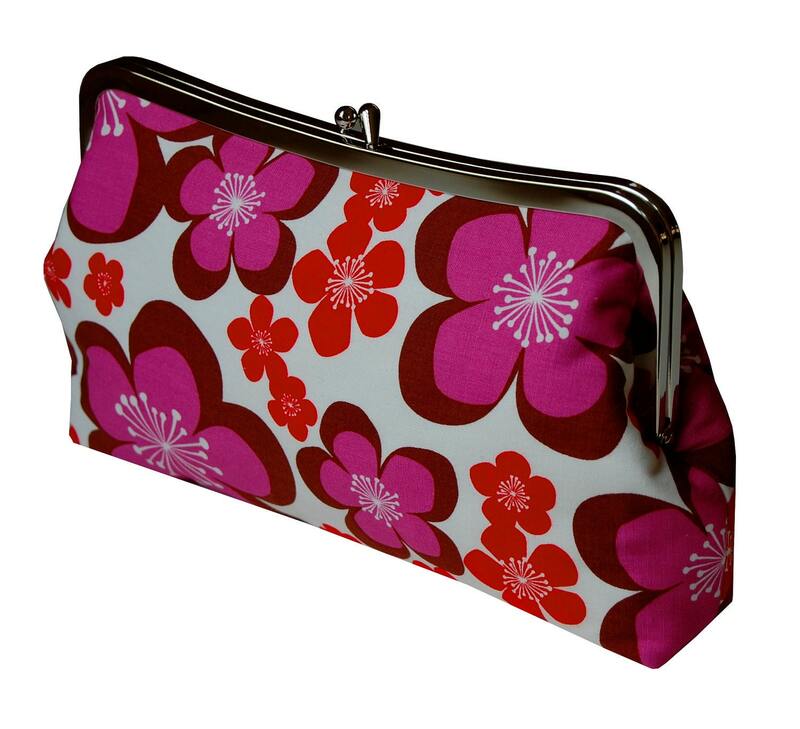 -The fabric clutch bag has bold, graphic flowers in purple and red on a white background. The fabric is a super soft, high quality organic cotton. 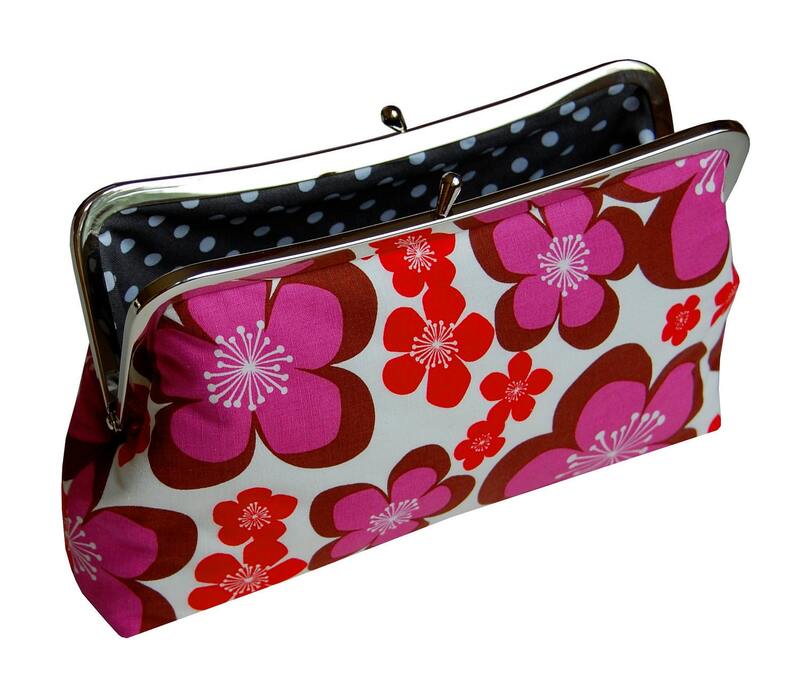 -I made the inside of the red floral clutch in a coordinating gray and white polka dot print. 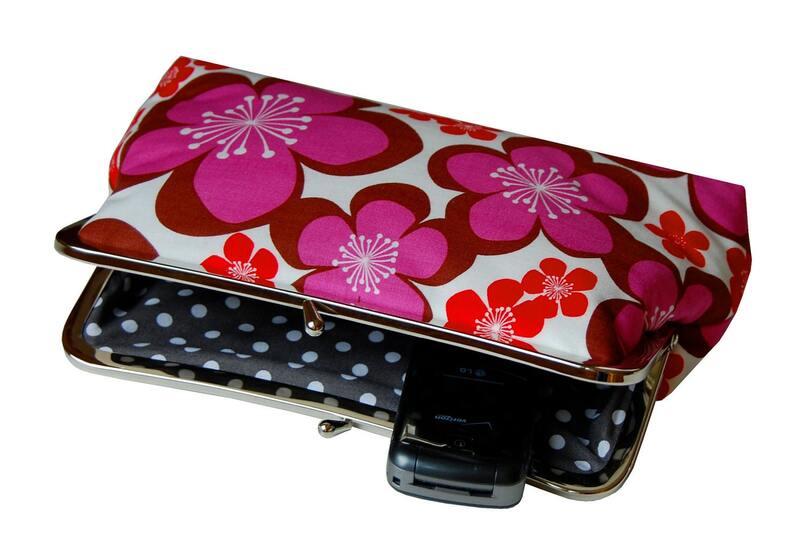 The purple purse is the perfect size to carry all your essentials - phone, makeup, credit cards, and keys. This purple handbag is the perfect everyday bag!